You’re watching a movie, getting engaged with the fluid plot and getting familiar with interesting characters. You cheer the protagonist on through their struggles, and feel upset with the antagonist and their seemingly selfish ways. As the film builds up to a climax you are figuratively/literally pushed to the edge of your seat. The tension ramps up, and the music becomes more intense. The theater is silent in anticipation. The person sitting next to you is holding their breath. You want to know how it ends. You have a commitment to see it through. But the climax happens, and suddenly everything changes. It’s a juxtaposition in perspective, and you’re seeing the same story from another angle. The twist throws everything on its head, and what you were led to believe is not the truth. Characters are different than they seemed before, and maybe that antagonist is not as bad as you thought they were. Real things become imaginary, or vice versa. When the credits roll, you leave the theater with a different feeling than what you were expecting to have a few minutes ago. Your mind has been opened to a new perspective and then you remember how this is the movies and anything can happen. This is the magic of the plot twist. It’s a trick played on the audience by the filmmaker. You might feel taken advantage of, but there is method to the madness. It saves you from predictable plots you’ve seen before, opens up your mind to new possibilities, and adds depth to otherwise simplistic stories. Twists are an important part of cinema, and almost every movie has one. Of course, not all twists are equal. Some of them are so good they are what an audience remembers most about the film. Below are ten example of some of the most unforgettable twists in cinema, and my perspective on what makes them so great. This is an article about some of the greatest twists of all time in movies. So, yeah, we’re going to be talking about movie plots! Proceed at your own risk. The Plot: Period thriller set in Edwardian London where two rival magicians, partners until the tragic death of an assistant during a show, feud bitterly after one of them performs the ultimate magic trick – teleportation. His rival tries desperately to uncover the secret of his routine, experimenting with dangerous new science as his quest takes him to the brink of insanity and jeopardises the lives of everyone around the pair. The Twist: Angier’s teleportation trick is actually a cloning machine, and he kills himself every time he performs the trick in order to maintain the illusion. Meanwhile, Borden’s teleportation trick is revealed to be possible because he has a secret identical twin brother. 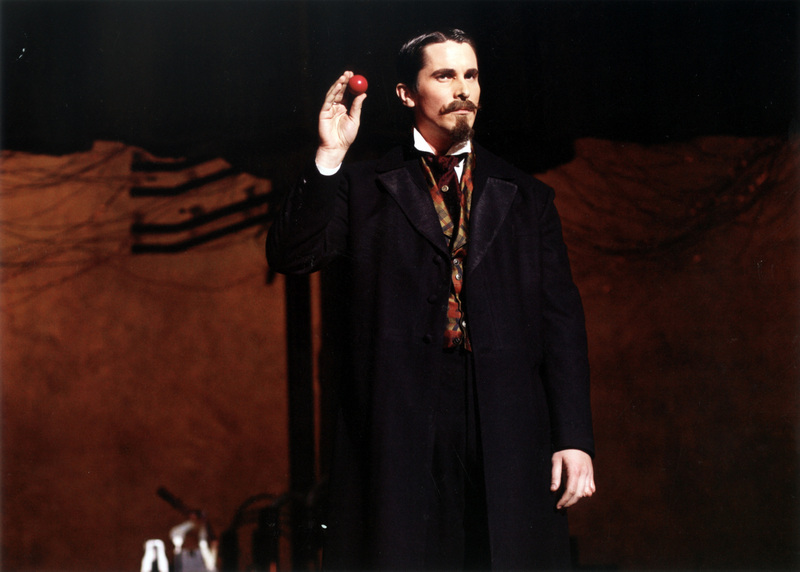 Why It Works Really Well: In a magic trick, “The Prestige” is the crux of the trick – doing something unexpected. So it is not only very entertaining, but very fitting for a movie called The Prestige to utilize its twist as the ultimate “Prestige”. It flips the entire film on its head and of course makes it infinitely rewatchable as you try to examine the plot’s various layers from different perspectives. From a thematic perspective, it shows how the two main characters both had to make the ultimate sacrafice in order to secure their most saught-after achievement. In doing so, we question the length at which we would go to achieve our own dreams. The Plot: The adventure continues in this “Star Wars” sequel. Luke Skywalker (Mark Hamill), Han Solo (Harrison Ford), Princess Leia (Carrie Fisher) and Chewbacca (Peter Mayhew) face attack by the Imperial forces and its AT-AT walkers on the ice planet Hoth. While Han and Leia escape in the Millennium Falcon, Luke travels to Dagobah in search of Yoda. Only with the Jedi master’s help will Luke survive when the dark side of the Force beckons him into the ultimate duel with Darth Vader (David Prowse). The Twist: Darth Vader is actually Luke Skywalker’s father and is the source for his special powers. Why It Works Really Well: Darth Vader is one of the best villains of all time. So when we learn that the hero is related to this villain, we are confronted with the idea that Luke is part Vader. He is not incorruptible, and that turn to the dark side seems just a bit more possible than it did before…But on the flipside, maybe Vader isn’t all bad afterall. The twist gives the story and these characters much more depth than they previously had. It erases the simplistic worldview we may have had of the Star Wars universe up to that point, which makes it seem more realistic than fantasy. The Plot: Complex sociological themes run through this science-fiction classic about three astronauts marooned on a futuristic planet where apes rule and humans are slaves. The stunned trio discovers that these highly intellectual simians can both walk upright and talk. They have even established a class system and a political structure. The astronauts suddenly find themselves part of a devalued species, trapped and imprisoned by the apes. 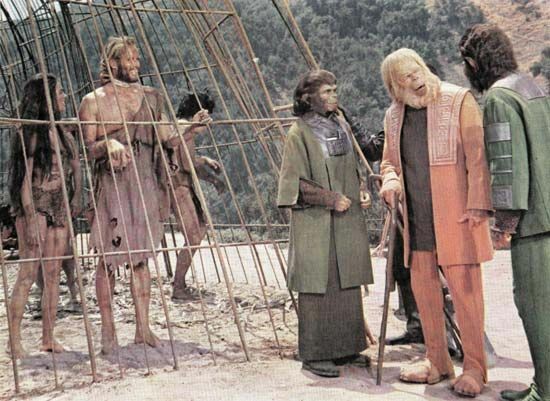 The Twist: The planet of the apes is actually Earth in the future where human society and intelligence had been destroyed by war and disease. Why It Works Really Well: Science fiction is often supposed to warn us about the danger in our ways. That is exactly what this twist does, and more. In addition to foretelling the end of mankind due to its pettiness and short sightedness, it gives the apes themselves more context. They are, after all, not just some wacky hallucination. They are us – all of humanity’s success and faults playing on repeat. The Plot: Grace (Nicole Kidman), the devoutly religious mother of Anne (Alakina Mann) and Nicholas (James Bentley), moves her family to the English coast during World War II. She awaits word on her missing husband while protecting her children from a rare photosensitivity disease that causes the sun to harm them. Anne claims she sees ghosts, Grace initially thinks the new servants are playing tricks but chilling events and visions make her believe something supernatural has occurred. The Twist: Grace and her children are actually ghosts. Grace was grief-stricken when her husband did not return, which caused her to kill her children, and then commit suicide. Why It Works Really Well: Horror films generally put a lot of emphasis on the twist. Many times that is the highlight of the film – finding out if it was all real or unreal. The twist in The Others checks these boxes, but is also much more than just your typical horror movie sleight-of-hand. In fact, the director has said that he placed emphasis on building up to the twist, rather than the twist itself, which isn’t true for most horror films. As such, the film builds up and in the process draws you in more so than the actual shock of that twist. What this means is that even if you spot the twist before it comes, you still enjoy the movie. The Twist: “Rosebud” is actually the name of a childhood toy, a sled, which Kane remembered fondly when his family lived in poverty and he was happy. Why It Works Really Well: The entire movie we rack our brains. What is Rosebud? A girl? A car? A nickname? A place? What is so important in this great man’s life that he would wish for it on his deathbed? The answer, when all is said and done, is frightfully obvious; youth, innocence. It is something that applies to us all. We live complicated, petty, challenging lives. But for what purpose? What does it all mean if it is the simplest things that give us pleasure? The Plot: Dae-Su is an obnoxious drunk bailed from the police station yet again by a friend. However, he’s abducted from the street and wakes up in a cell, where he remains for the next 15 years, drugged unconscious when human contact is unavoidable, otherwise with only the television as company. And then, suddenly released, he is invited to track down his jailor with a denouement that is simply stunning. The Twist: Upon release, Dae-Su falls in love with a young chef, who is ultimately revealed to be his daughter and the insestuous relationship was set up using hypnosis by Dae-Su’s captor as revenge. The captor is revealed to be a man from Dae-Su’s past who Dae-Su found out was having an insestuous relationship with his sister and who later committed suicide because of the shame. Why It Works Really Well: This twist is one of the most shocking on this list, which is what makes it so memorable. It’s disgusting, which also makes it unthinkable. It is a place many people’s mind wouldn’t go, and that is exactly why the twist hits you so hard. It also corrupts a character who we watched work his way back to being redeemable. In essence, the film explains the plight of being human – acting out based on emotions that are not always logical, and having to deal with the consequences of our actions. The Plot: Leonard (Guy Pearce) is tracking down the man who raped and murdered his wife. The difficulty, however, of locating his wife’s killer is compounded by the fact that he suffers from a rare, untreatable form of memory loss. Although he can recall details of life before his accident, Leonard cannot remember what happened fifteen minutes ago, where he’s going, or why. The Twist: Teddy, an office who had been helping Leonard track down his wife’s killer, had actually been manipulating Leonard the entire time to carry out his own crimes. Why It Works Really Well: A movie that runs backwards is a novel approach, but hasn’t been done very often because in doing so the filmmaker gives away the ending. But Momento‘s ingenious script doesn’t. The twist essentially hides the truth even though the audience should have been able to figure it out right away. In many ways, the realization of the truth stabs the audience in the back. Here we were, innocent in believing and cheering on the main character, only to find out his disability was being taken advantage of. That emotional response sticks with you. It gives a purpose to the madness. The Plot: The greatest trick the devil ever pulled was convincing the world he didn’t exist,” says con man Kint (Kevin Spacey), drawing a comparison to the most enigmatic criminal of all time, Keyser Soze. Kint attempts to convince the feds that the mythic crime lord not only exists, but is also responsible for drawing Kint and his four partners into a multi-million dollar heist that ended with an explosion in San Pedro Harbor – leaving few survivors. The Twist: Kint is actually Keyser Soze, and had planned the heist and set-up in advance. He played off of his own team and the authorities the whole time so that he could escape. Why It Works Really Well: Everyone loves a good heist movie, and oftentimes heist movies feature great twists. These twists usually involve some sort of sleight of hand so that the trick of the heist isn’t actually revealed until the end of the movie (see Oceans 11). The twist in The Usual Suspects is exactly this type of twist, but elevated to another level. It is the culmination of an entire performance, a lot of work went into it, and the audience is along for the ride the entire time. At the end, we don’t feel duped necessarily, but amazed that we didn’t see what was right in front of our face the entire time. 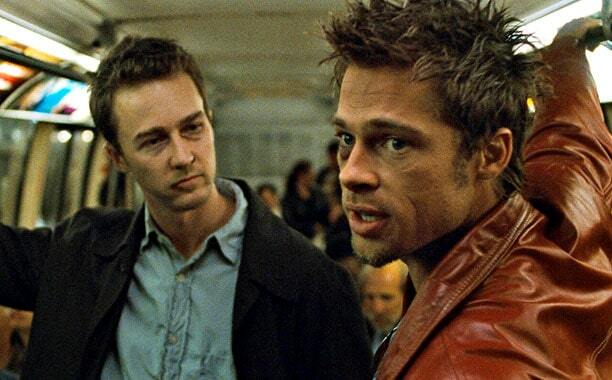 The Plot: A depressed man (Edward Norton) suffering from insomnia meets a strange soap salesman named Tyler Durden (Brad Pitt) and soon finds himself living in his squalid house after his perfect apartment is destroyed. The two bored men form an underground club with strict rules and fight other men who are fed up with their mundane lives. Their perfect partnership frays when Marla (Helena Bonham Carter), a fellow support group crasher, attracts Tyler’s attention. The Twist: Norton and Pitt’s characters are actually the same person, and all of their conflict has been interna. This singular person’s internal instability has resulted in external chaos. Why It Works Really Well: In terms of reality-redefining twists, this one takes the cake. The film itself is very provocative, and edgy, but when that twist happens it becomes even more so. It takes our simple world view and expands upon it. In more than just the concept of the film, it invites the audience to view things differently, to challenge ourselves. It is also an incredible adaptation of a complex narrative – so in addition to the amazement we feel from the viewing experience, we’re also impacted by the technical proficiency by the filmmakers to pull it off. Sure, the “he’s crazy” twist ranks right up there with “it was all a dream” as far as trope endings, but somehow, this one still takes you by surprise. The Plot: Young Cole Sear (Haley Joel Osment) is haunted by a dark secret: he is visited by ghosts. Cole is frightened by visitations from those with unresolved problems who appear from the shadows. He is too afraid to tell anyone about his anguish, except child psychologist Dr. Malcolm Crowe (Bruce Willis). As Dr. Crowe tries to uncover the truth about Cole’s supernatural abilities, the consequences for client and therapist are a jolt that awakens them both to something unexplainable. The Twist: Psychologist Malcolm Crowe is actually dead and appears to Sear because he does not see the truth and realize the importance of it. Why It Works Really Well: This is the twist that all other movie twists are judged by. The greatest twists utilize the entirety of their runtime to execute their magic, and this one is a great example. In many ways, this twist IS the movie. It would be less without it, and it isn’t simply added in for the sake of entertainment. Instead, the film is expertly crafted to build up to that moment. When we get there, the direction abruptly changes. We assume a realistic approach, but the film ends with a supernatural perspective. It takes advantage of the audience, but also provides a reward because the end product is simply spell-binding. Death is something we all have to face, and so this realization is one that not only appeals to everyone, but hits us all with the same strength. That feeling of weakness, but also of curiosity is what ensnares you. It is one of the most captivating moments in all of cinema.